We have all had experiences of being connected with our higher selves, although we may not have conceptualized it in that way. Feeling exceptionally high, clear, strong, “on top of the world,” or “able to move mountains,” are indications of being connected with your higher self; so is the experience of “falling in love” . . . when you feel wonderful about yourself and the world because your love for another human being is causing you to connect with your highest self. Shakti Gawain is a bestselling author and a pioneer in the field of personal growth and consciousness. 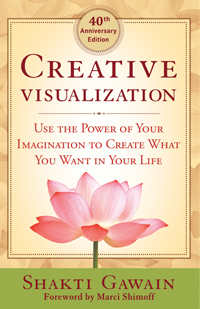 The 40th Anniversary Edition of her classic work Creative Visualization: Use the Power of Your Imagination to Create What You Want in Your Life was recently published by New World Library. Visit her online at www.shaktigawain.com.